Photo just south of Rankin, Illinois. feature lies within a moranic complex. masses of sand and gravel. certainly could pass for one! and gravel -- perhaps a former driveway. Frozen ground this day precluded further investigation. Meander scar and oxbow along the Middlefork River, southern Ford county. The road grade separates what was once a continuous feature. The scar is preserved in an outwash terrace and marks a previous level and location of the Middlefork. 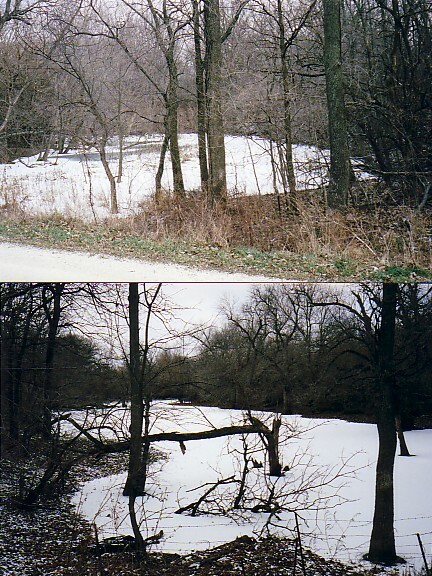 The present day Middlefork lies nearby, but entrenched at a lower elevation. 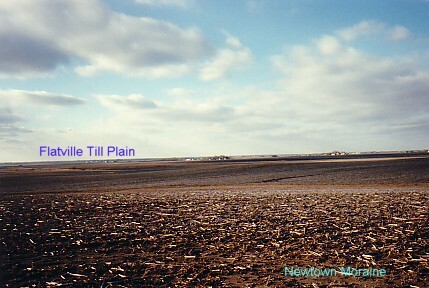 This photo taken near Flatville, Illinois, suggests the reason for the name of the town! 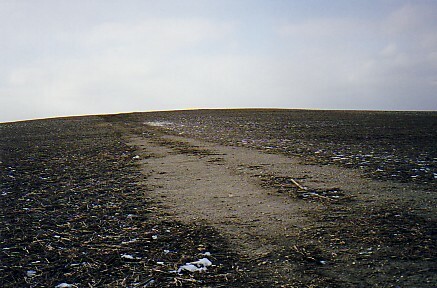 Generally this surface is groundmoraine, and a reason why Champaign county, and the city of Champaign received their names . . . from the french word for flat! This very poorly drained area required construction of deep drainage ditches and field tile to make it arable, it is an extremely productive agricultural area today. 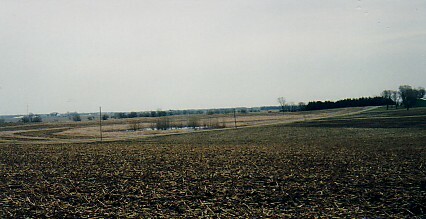 The view is from a crest of the Newtown moraine near Gifford, Illinois, looking southwest to the much lower Flatville till plain. 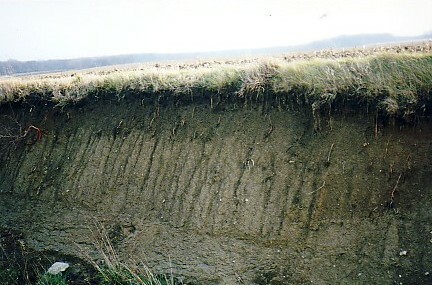 Modern soil grades into poorly sorted outwash overlying glacial till. Ditch east of Ellis, Illinois. 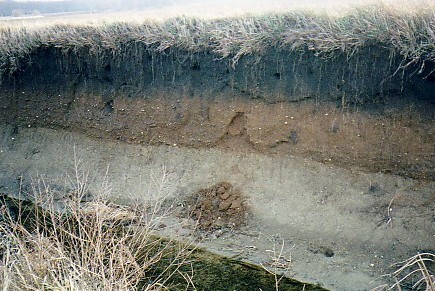 Note the minor slide of outwash. Note the small erratic in the process of being released from the glacial till. This small pond may be in a depression called a kettle. Kettles form when a block of ice is detached from the glacier and is partially covered by drift. When the ice block melts, a depression is left in the surface.